allround geek: Zune 2K9 failure. Absolutely ridiculous! Zune 2K9 failure. Absolutely ridiculous! 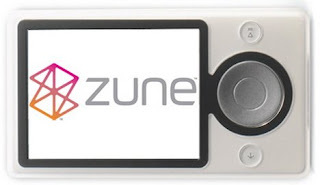 Admittedly one of the most profound hardware sale failures ever, Microsoft's music player zune, made headlines these days not because it sold a piece or two more but because all the zune 30GB players failed all together due top a weird bug. Since it was the end of the 2008 users dubbed it Zune 2k9 crisis. During the first hours Microsoft said nothing about the issue but after it became apparent that all 30 GB zunes are failing, the problem was addressed officially. The official fix is ridiculous. They simply say: let the battery drain wait until January first and then charge it again. WTF? If you ask me this is ridiculous. It is ridiculously ridiculous! !